Spurs dropped more points at home today as the north London club came from behind to draw 1-1 with manager-less West Brom at Wembley today. The away side opened the scoring in the fourth minute, as Salomon Rondon was put through Jake Livermore, as the Venezuelan placed the ball past Hugo Lloris to put his side one goal to the good. Spurs then finally found an equaliser 16 minutes from time, as Dele Alli’s cross was turned home by Kane to draw the home side level. It had to be him didn’t it. Kane scored again today as the England international increased his goal tally to 15 for the season. 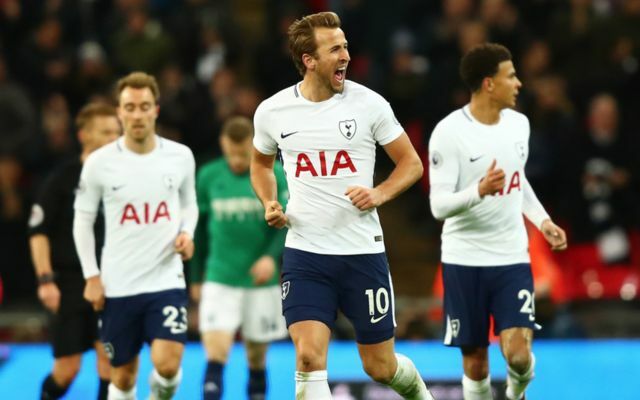 The forward’s attacking instincts were on show today, as his movement and positioning for Spurs’ goal showcased exactly why the 24-year-old is touted as one of the best forwards in Europe at the moment. Harry Kane is responsible for 43% of Tottenham's goals this season. Spurs ace Christian Eriksen wasn’t his usual self today, as the Danish international struggled to make his mark on the game. The midfielder really should’ve be substituted off instead of teammate Harry Winks, as the former Ajax ace had an uncharacteristically poor game this afternoon. 100 – @HKane has been involved in 100 Premier League goals in his 128 games in the competition (87 goals, 13 assists) – the ninth fastest player to reach the milestone. Inevitable. This tweet sums up most Spurs fans’ reaction pretty well! Spurs below Burnley after tomorrow. Whereas this tweet is just pure savage!